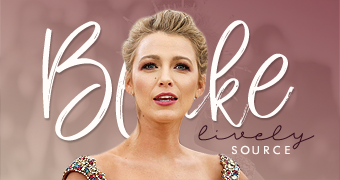 Blake covers Lucky Magazines September 2013 Issue, if anyone is kind enough to scan it for us, please email in the pics to marieclark1983@gmail.com ! We would really appreciate it. Check out the adorable article by Heidi Mitchell and sophisticated Photoshoot by Partick Demarchelier …. With six seasons of Gossip Girl sealing her It Girl status and roles in The Town and Savages proving her acting chops, the Burbank, California, native is feeling more crystal heels than moccasins lately. She’s still riding the high of her secret wedding to Reynolds last September and her recent appointment as the face and muse for Gucci Première perfume. She is lucky enough to call her favorite musician, Florence Welch of Florence and the Machine, a close friend, and when she can’t decide which shoes to wear, she simply texts Christian Louboutin for advice. (“I’m still geeked out,” she says. “I’m like, ‘Christian, when you texted me, I took a screen grab!’ It’s crazy!”) And despite the fact that she famously has no stylist right now, she remains one of the most-hunted targets on the red carpet. Her life, in some ways, is like a Disney movie.